Dave Splash Dot Com: Hate The Sin Not The Sinner? Yeah, Right! Hate The Sin Not The Sinner? Yeah, Right! 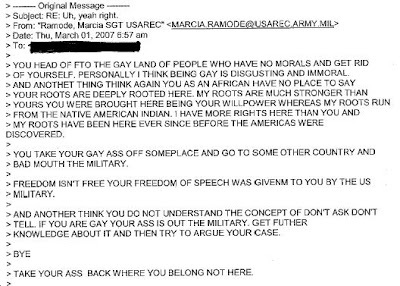 This is an email sent by a military recruiter to someone who did not want to join the military because of its ban on gay people.